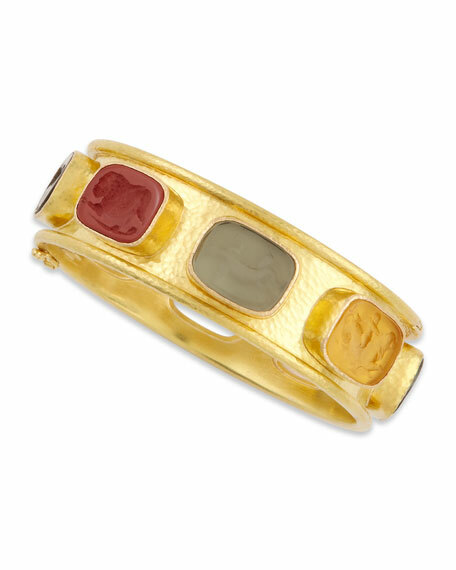 Individually designed by Elizabeth Locke and handcrafted in 19-karat yellow gold, this Venetian glass bracelet modernizes the time-honored intaglio tradition. 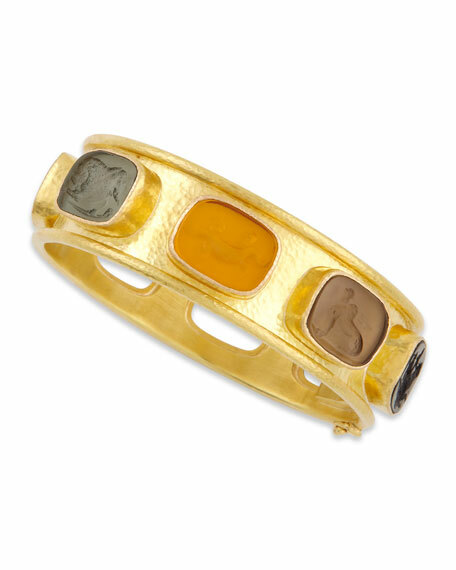 Though intaglios historically have practical purpose as stamps or seals, this Elizabeth Locke bangle gives your look an heirloom sensibility that's more fanciful than functional. Neutral/multicolor Venetian glass stations with animal intaglios and mother-of-pearl backs. Push clasp with secured hinges.